Electric trolleys may be reintroduced to Colfax Avenue more than half a century after rubber-tired buses and cars replaced them. 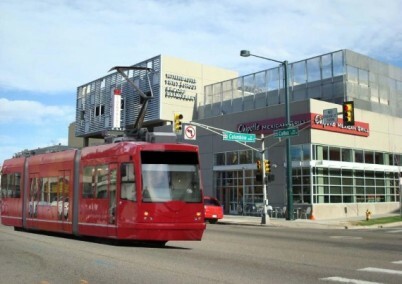 The City and County of Denver is working to assess the technical and economic feasibility for development of a “modern streetcar” line on the Colfax Avenue Corridor. The initial study area is bounded on the west by Interstate 25 (I-25), on the east by Syracuse Street, on the south by 12th Avenue, and on the north by 19th Avenue. In addition to exploration of the feasibility of a streetcar application on Colfax in the study area, the Colfax Street Feasibility Study process will identify criteria to evaluate candidate corridors for a potential broader streetcar network. The City of Denver has been requesting proposals from consultants interested in conducting a streetcar feasibility study that will focus on Colfax and parallel streets. The City’s public works department is paying for the study, which is estimated to cost $190,000. Following the study’s completion, the City will likely seek federal funding to implement the recommended route. “Colfax is ripe (for streetcars),” said Jeanne Robb, speaking at a local conference promoting the return of the electric trolley in 2007. “We’ve got the development potential. We’ve got the zoning,” Robb said. Denver city officials and business advocates would like to see continued growth along Colfax. In 2005, the City rezoned the corridor to a main street district that supports high densities and encourages pedestrian-scaled design. The City is also considering ways to enhance transit services on the street, currently served by bus route 15, which carries more riders than any other bus in the Denver metro area. Many city officials, business leaders, and residents think streetcars would be a perfect fit.